Watch a comedy AND action anime: Katekyo Hitman Reborn! Watch a comedy AND romance anime: Hataraku Maou-sama! 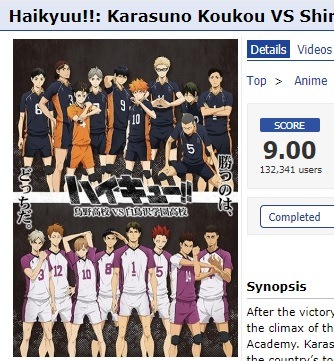 Watch a comedy AND school anime: Haikyuu!! Watch a J.C. Staff comedy anime: Kaichou wa Maid-sama! Watch a comedy anime that aired in the Summer: Free! Watch a comedy AND school anime: Nanbaka: Shusseki Bangou no Tsuita Baka-tachi! Watch a comedy AND slice of life anime: Gochuumon wa Usagi desu ka? Watch a Madhouse comedy anime: Ore Monogatari!! Watch a comedy anime that aired in the Spring: Yahari Ore no Seishun Love Comedy wa Machigatteiru. Watch a comedy anime that aired between 2006 – 2010: Angel Beats! Watch a comedy anime with an all female main cast: K-On! 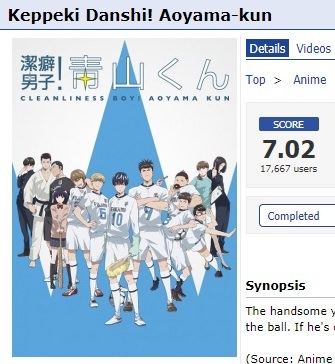 Watch a comedy anime with an all male main cast: Patalliro Saiyuuki! Watch a comedy series with a non-Japanese title: Dive!! Watch a TV-type that has only 3 or less genres listed: Ame-iro Cocoa Series: Ame-con!! Watch a comedy with 11 – 20 episodes: Papa no Iukoto wo Kikinasai! 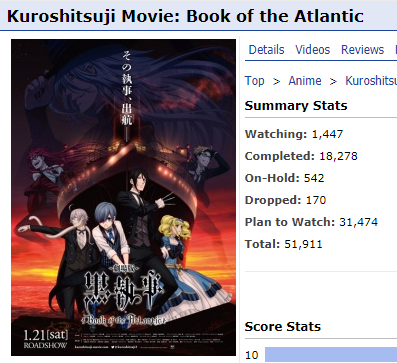 Watch a comedy with over 10 characters listed: Baccano!